03/20/06: Contrary to popular belief, UnitY in fact is still undergoing updates. However, I have reached a point where publishing is a close to definate option and thus have made the decision to revamp the manga project. The pages are being reformatted, the story edited, and a lot of other changes. Please bear with me as I work on the transition. 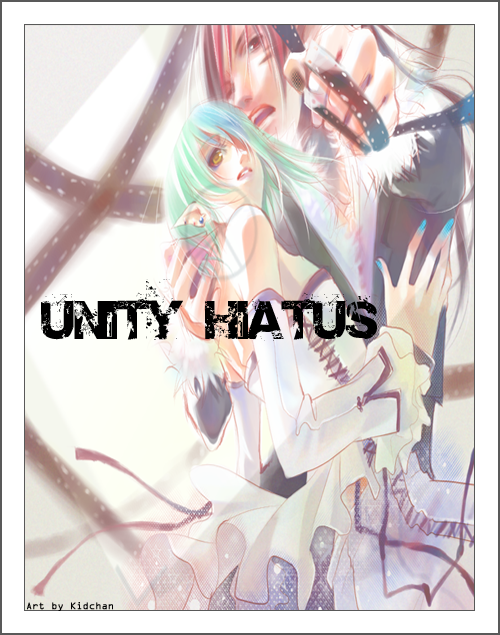 Until further notice, UnitY will remain on a hiatus. Thank you. UnitY: ARS is copyright Allison Henderson 2005. All rights reserved. UnitY: A Rockstar Saga is hosted on Keenspace, a free webhosting and site automation service for webcomics.